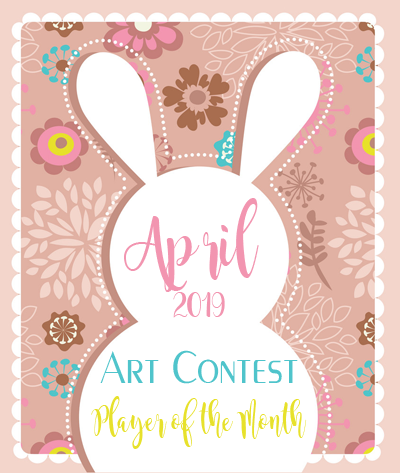 We will be holding an art contest for the April Players of the Month art display in spawn. Must include both Players of the Month's skins. Picture must be able to be cropped to 384 pixels wide by 512 pixels tall. Must send me the full sized image and project file, if applicable. Do not include writing, I will do that. No highly detailed backgrounds. They won't show up properly in game. Staff may participate, but cannot participate in the judging process if they do. Also, if either of you POTM's want to describe what your skins actually are, that'd be helpful. I can include that info on here. Examples of previous POTM posters. We aren't looking for anyone to copy Tygrax's style, so please let your inner artist out. Your artwork displayed at spawn with your name. Submit your entries on this thread. Winners will be chosen by staff and this month's POTMs (if they wish) via a vote. Can I do a pixel art? This is my art submission!!! I worked so hard on it and I hope everyone likes it!!! Be proud! My first attempt was a nightmare. I hope you keep improving and, again, be proud of this! Heya! This is my very first digital drawing attempt!!! This is my REAL submission for the potm art comp. I added in a lil avocado and decided to make the characters laughing at how a cake they baked turned out. Baking and avocados are a strange, big thing of my life. I hope you appreciate the effort I put into this!!! I am proud of my first digital art piece! Enjoy!! !